If you’ve lived in Florida for very long, you are probably well aware of the phenomenon of love bug swarms. They are distinctive bugs because they are often found in pairs, one attached to the other, their red heads facing opposite directions. They are predominantly found in Central America and the southern states. During the late spring and late summer, the larvae mature into adult bugs and fly off to mate, before laying eggs and dying after a couple days. What problems do love bugs cause? While they are far less annoying than mosquitoes or flies since they don’t bite or buzz around as quickly, their large swarms can cause problems. Many have experienced a love bug or two getting stuck in their eyes, mouth, and hair while being caught in a cloud of the insects. Even more have spent hours scraping the bugs off of their cars in the summer. Can you prevent love bugs? Love bugs lay eggs in grass thatch, which hatch into larva. So, if you don’t want them around your house, keep your lawn maintained and mowed. You can also try applying bug spray to flower beds, gardens, doors, and other areas you don’t want the bugs to be. To protect your car, get a wax treatment right before love bug season. This will make them much easier to remove and eliminate paint damage. But, there’s not much else to do, since the bugs only have a lifespan of 2-3 days and will go away shortly. 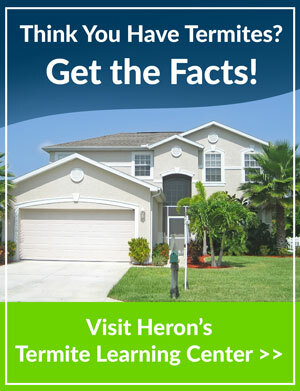 At Heron, we take our reputation as the best pest control service in Central Florida very seriously. Whatever the pest, let us take care of it for you. From love bugs to common houseflies and roaches, we will provide treatments and prevention plans for nearly every flying and non-flying insect, as well as mice and rats. Don’t let nuisance pests ruin time spent in and around your house – call us today for an initial consultation at 1.877.772.0826. 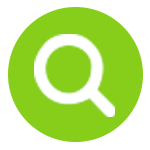 Home » What are Love Bugs?